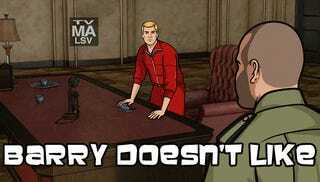 No Archer tonight. Damn Olympics. Can I just say, I really like how the show is treating this season as one big storyline instead of just a series of random adventures every episode like past seasons. Also, I just love the little bit of character development Archer and Lana are getting. That scene between them during last week's episode may be one of my favorite moments of the entire show.